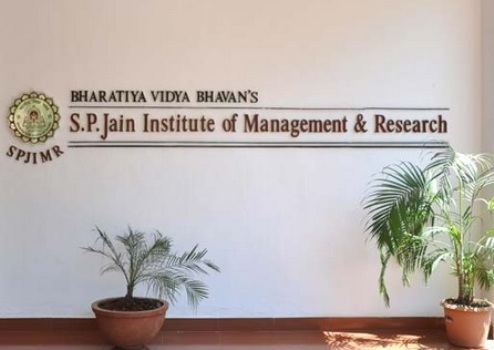 Peer learning, quizzes, late night submissions all form part of a rigorous life at a business school and SPJIMR is no exception. To add to this extensive and exhaustive academic rigor are a host of competitions which are launched across B school campuses in India. Competitions which bring real life problems to the classroom asking for an approach that befits a management graduate. They are just as important as the next big assignment, sometimes even more. Because they give you an opportunity to don the manager’s hat and grapple with problems gripping the corporate world. The case is your canvas and you can pave the way for solutions reflecting thought processes brimming with innovation, business acumen, and grounded in practicality. The year that was for the first year of SPJIMR batch of 2015 was no different and packed with a series of competitions aimed at providing the students an opportunity to broaden their thinking and provide them with a snapshot of problems facing businesses and practices that underscore the way businesses are run today. These competitions straddled different spheres of management practices ranging from General management to consulting- including operations, marketing and finance. Students participated across campuses and within SPJIMR too maximum participation from the students only raised the competition thus leading to only the best of submissions being selected after intense and thorough scrutiny. Going Bananas … and winning! Mahindra War Room one of the most prestigious competitions launched across top B Schools in India is a platform which provides students organized in teams of four to come up with real, implementable solutions to problems presented to the students through the problem caselets in a duration of six months which is packed with systematic planning and careful execution. The competitions aims at testing the strategizing skills of students while familiarizing them with the Mahindra brand as an employer of choice. 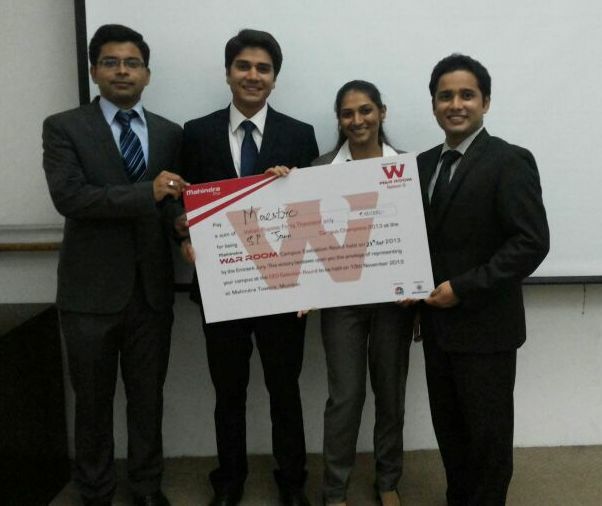 Shivam Kandpal was part of the Team Maestro (comprising also of Abhishek Kumar, Abhinav Pandey and Kunjal Tanna) was the campus winner and National finalist at Mahindra War Room 2013. The intense six months of planning led them to present in front of a jury comprising of Mr.Pirojshaw Sarkari, CEO at Mahindra Logistics; the Group Executive Board and a list of eminent and distinguished Mahindra managers across various sectors including those which were a part of the various caselet problem statements. 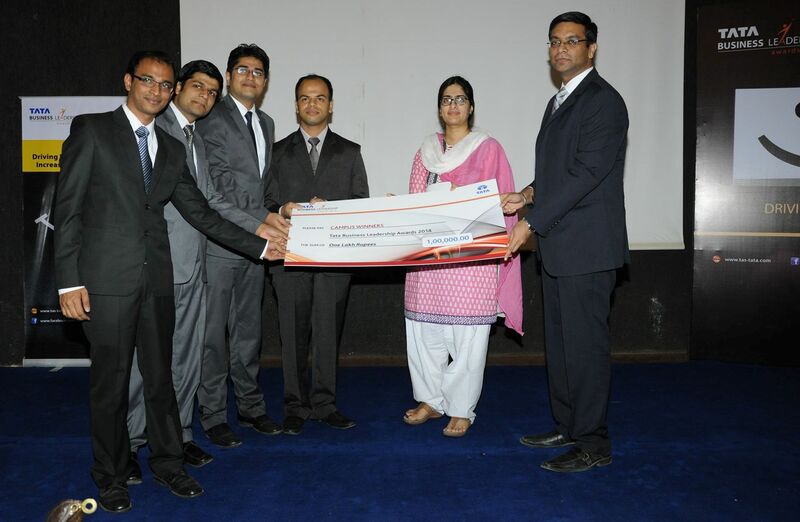 The theme of the competition this year was “Disruptive innovation in Turbulent times”. Innovation is one of the most intangible processes in the business landscape especially when the tide is turning against you. You cannot really measure the outcomes and you cannot certainly predict where it might lead your business. However it is often necessary much more so during turbulent times and when perfected at the execution level can certainly take you far ahead of your competitors. A successful business is at the centre of its industry circles but soon there are players which crowd that circle and smart businesses should broaden their scope- be a part of a bigger circle. Innovation can get you there. And I think we tried our level best as a team to keep this in mind while proposing solutions at MWR- we wanted the business to be part of a much bigger, much expanded circle in terms of scope that would render competition redundant. What was the chosen problem statement? Reasons why you chose the said problem statement? Could you briefly state the insights given? We chose a case from the logistics business caselet: “Going Bananas with Mahabananas”. The idea was to come up with a solution that would eliminate the intermediary stages that form a part of the banana value chain from producer to consumer thus ensuring a fair price to both ends while at the same time eliminating unnecessary costs associated with transporting bananas especially across long distance. We chose this case because here we saw a business proposition that if addressed and executed effectively would directly affect and positively so the lives of the farmers in our country which is a necessity as much for them as us – the ultimate consumer. So we were proposing solutions that would directly impact the lives of the people. We analyzed the entire banana value chain from the producer end to the market end and gave recommendations at every stage for a better value proposition which benefited both the farmer as well as consumer. The solutions were greatly appreciated by the senior management especially the concept of collective participative business model – a key insight very much in sync with the Mahindra philosophy of RISE. It was a great experience. We were presented with an opportunity to acquaint ourselves with the entire business chain and grass root level realities which affect agro businesses in India. It really made us look at corporate practices and adapt them (in our case) in a way that would not only guide the business but empower the farmer as a participant and key decision maker in the entire process and not just a producer. “Customer centric and customer driven” makes for winning businesses! The Tata Business Leadership Awards have been constituted to provide a platform for students to come forth and bring to the table ideas that would help address real business challenges faced by the TATA group of companies. The idea is to get sharp minds to work and bring out innovative approaches and hone the students bringing the best approaches into business leaders. One of the most prestigious business school competitions launched across campuses TBLA turned out to be every bit as challenging and exciting as it proposed to be. The theme this year was “Driving Business Growth through increase in Customer centricity” and thus “to create the best in class customer centric approaches and use the learnings to create business plans for the TATA group of companies”. In a world of “everywhere computing and information overload” the customer is truly empowered. I feel that it is a good thing- a truly empowered customer provides your business the essential roughage to constantly innovate and to involve the customer into your decision making process in some way. A customer centric approach thus makes businesses communicate better and create unique value propositions, deconstruct and adapt their value chains, and help improve the delivery mechanism that shall finally impart real, intangible and tangible value to customers. How did you go about the problem statement? Any thoughts on the competition and what the journey meant to you as a team? Every team across campuses was presented with this common theme and then had to prepare a business plan for any one of the TATA group companies, following the approach of customer centricity. We chose TATA Trent- the retail arm of the TATA Group which owns the chains such as Westside, Landmark, Fashion yatra and Star Bazaar. We chose this sector primarily because Trent has managed to carve a niche for itself in a sector like retail which is largely unorganized in India. Brands such as Westside and Landmark are robust, enduring and trusted. We wanted to develop an approach which shall nurture this underlying robustness and a customer centric approach is the best way to go. The NUS Stock Pitch Competition was a one of its kind competition- rigorous, testing your financial acumen in a time targeted objective oriented manner. All of us has to analyze three companies- one company which was common to all and two companies from separate sectors of our. We had to analyze these companies, value the stock and then recommend a BUY/SELL/HOLD decision for investors looking at an 18-24 month investment horizon. We had were given 11 hours to complete this. We reached the finals and were ultimately runners up. The competition had two stages. Stage 1: Each one of us had to present one company in two rounds. Based on our performance in these rounds, the top 3 teams made it to the last round. 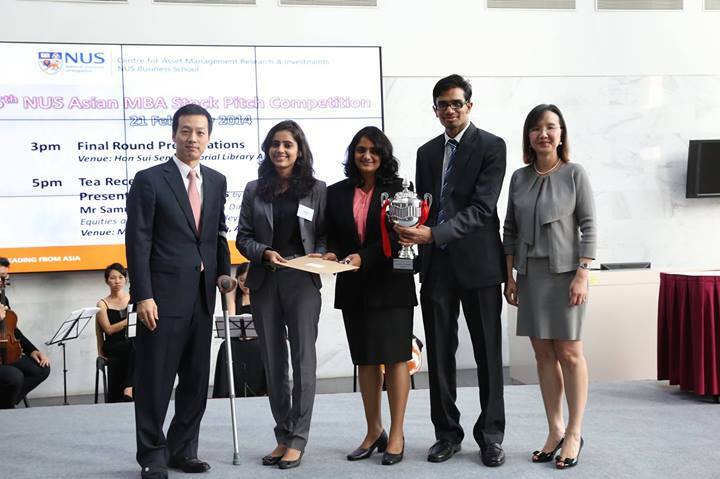 NUS Business School, IIM-A and SPJIMR were the finalists. We analyzed Prada (listed in Hong Kong)- this was the company that was common to all students. We chose the Energy Sector and the Cargo sector and analyzed Coal India and Precious Shipping respectively. We chose these two sectors primarily because in India you do not expect these two sectors to do particularly well. The competition allowed us an opportunity to delve into the depths of these sectors and gauge firsthand how a portfolio analyst would view these sectors and whether these stocks would find a way into a wealth generating portfolio. We recommended a BUY rating on all of them. We conducted a top down analysis of the companies including macroeconomic conditions, fundamental analysis, discounted cash flow valuation and relative valuation, and technical analysis. Our team was appreciated by all the judges for our presentation, and communication skills. We were the only team where each one of us worked on all the three companies’ analysis. This helped us tackle the question and answer session as a team and all the judges appreciated this show of solidarity. All in all it was a wonderful experience. The networking dinner that we had after the event was wonderful for the opportunities that it presented us with. We got to talk to CEOs of fund management companies, investment banks and Private Equity firms. We also got to interact with students from the other universities and it opened a new window of knowledge about those countries. … The next part of the achiever’s section shall include: budding women leaders, consultants, marketing and operations managers.